​Real Madrid boss Julen Lopetegui has confirmed that 21-year-old Sergio Reguilon will be in his first team plans for the 2018/19 season. As reported by ​Marca, the former Spain coach has promoted the young left-back into the first team after the departure of Theo Hernandez on loan to Real Sociedad. Reguilon will deputise for first choice Marcelo, with the Brazilian international's position in the team almost untouchable at the moment. The 21-year-old has been with Los Blancos for the past eight years, signing a new contract with the club back in May after impressively rising through the youth ranks at the Santiago Bernabeu. On his decision to promote the full-back, Lopetegui said: "Reguilon will stay with us and he will be here, he's from the youth system and he will get his chance." Reguilon has forged a reputation as a defensively sound full-back who also enjoys joining the attack, with his deliveries into the box proving to be a key part of his attacking game. The youngster featured in Real Madrid's International Champions Cup games against ​Juventus and ​Manchester United in pre-season, doing enough to catch Lopetegui's eye to be trusted as a first team player. 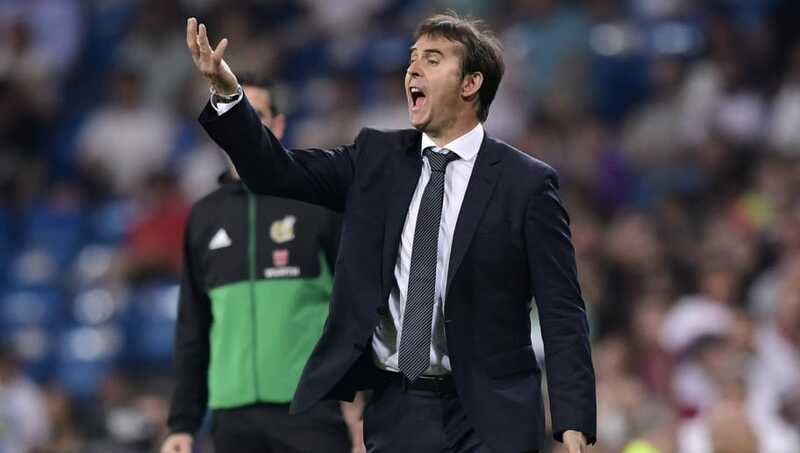 After the impressive showings, Lopetegui said: "He is taking advantage of the opportunity he has." Reguilon has been on loan at third division side UD Logrones in recent years, and sounds proud of his transition from youth team player to training daily with the likes of Gareth Bale, Sergio Ramos and Luka Modric. Reguilon said: "I started in the youth team and I have put a lot of work in. "To get to this position you see as being very difficult and it is what all kids want to do." With Marcelo entering his 30's, ​Real Madrid look to have another bright young prospect coming off the Castilla conveyor belt to replace the Brazilian for the future.